Orchid Villa beautifully decorated by a well known Trinidadian interior designer is situated near Little Rockly bay in the village of Lambeau. This bay once a Dutch settlement is now the destination of many visitors to Tobago. 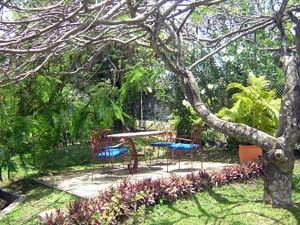 The villa is conveniently located 5 minutes away from Scarborough, the capital, the new (Gulf city mall) Shopping Center, and on the same beach as Hilton Tobago, excellent location for kite surfers. 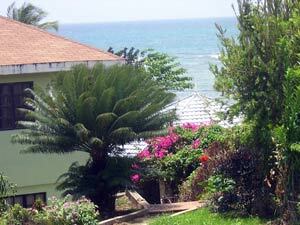 This two bedroom villa is part of a complex called “Palm Tree Village”. 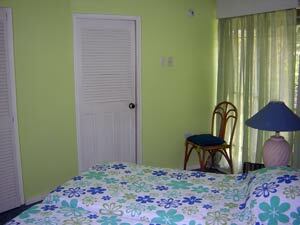 The villa is fully air conditioned with additional ceiling fans and a well equipped kitchen. Available for your enjoyment is a large screen satellite TV complete with a high quality stereo system and DVD player. 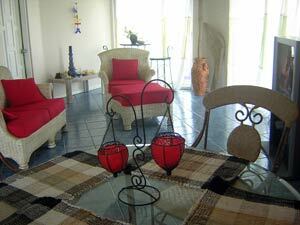 The front balcony and private patio are available for your moments of relax. On the ground floor of the villa you’ll find a laundry room equipped with washing machine and dryer, for your convenience. All the villas in the complex share a large pool.